Snow. We love it, we hate it; it’s fun, it’s a nuisance. Whether it sparks a sense of wonder or dread, there’s no denying that snow has helped shape the Canadian identity. Snow was a relentless challenge that the first European settlers had to adapt to as soon as they arrived in Canada. Thanks to the expertise of Aboriginal peoples, they learned to live with it. Nowadays, snow removal after a heavy storm is routine. “This is why we have a hard time imagining what life was like back then, when the snow settled on the ground for the winter,” says Bianca Gendreau, curator of Snow, a travelling exhibition that was first presented at the Museum in 2014. 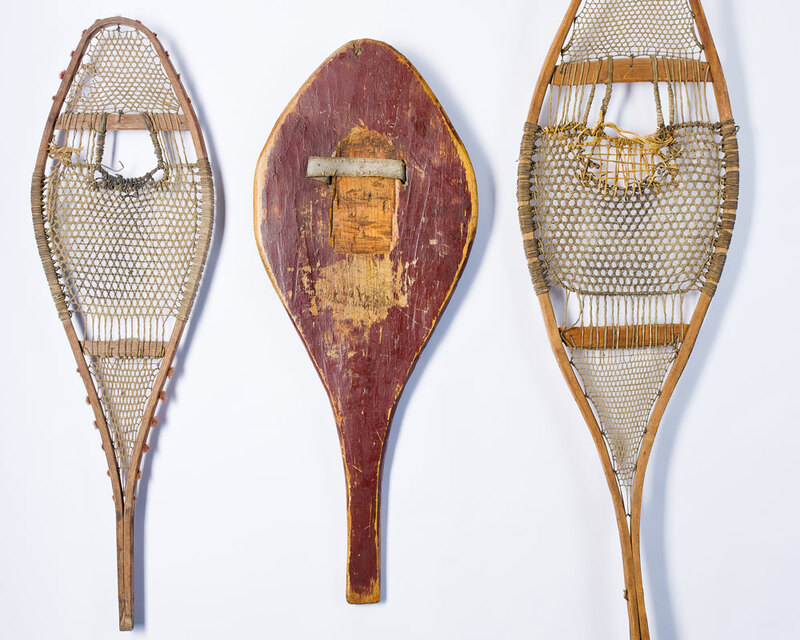 She adds: “We forget how difficult it was to get out and about.” Very early on, the settlers adopted the snowshoe, an ingenious First Nations’ invention that enabled them to walk on snow. They also adopted the sled, which was used to transport game and other items. Later, Canadians started to come up with their own snow-related inventions. Horses got snowshoes: rounded wooden planks that were fitted onto their horseshoes with leather straps. The horses could then pull scrapers, which flattened down the snow. Shovels became all-important in cities where major streets needed to be cleared. Teams of men were recruited to shovel the snow into sleds, which were then taken away and emptied. 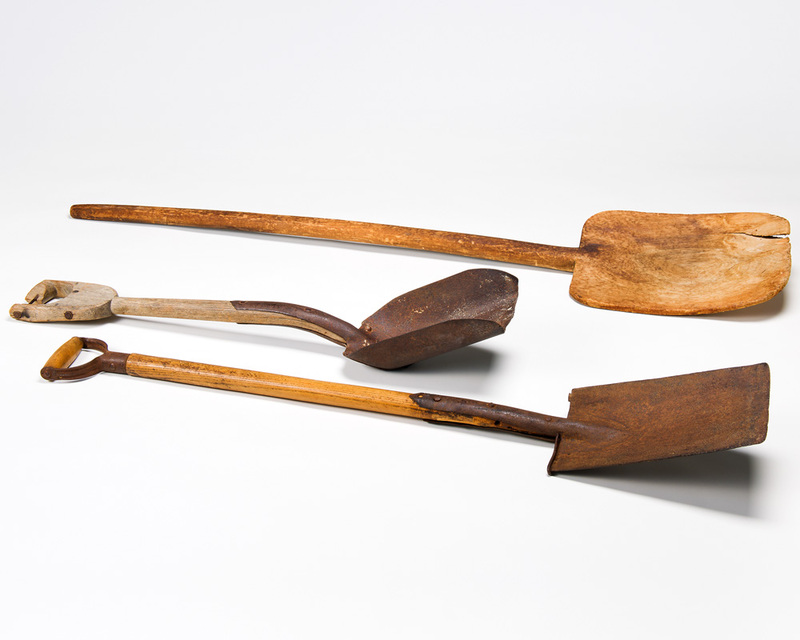 Gendreau says that during the 19th century, the number of patents registered for more efficient snow shovels was astounding! The introduction of the internal combustion engine brought more innovations. These included Arthur Sicard’s snow blower, which was used to remove snow from streets in the early 1900s, as well as Joseph-Armand Bombardier’s famous snow vehicle and then his snowmobile, which is hugely popular today for recreational use. An appreciation of snow is far from new. In the 19th century, many snowshoe clubs were established, all with their own songs and outfits. It comes as no surprise that today one out of ten Canadians participates in at least one winter sport. Indeed, how could anyone remain unmoved by the ethereal beauty of light snow falling on a winter’s eve? Snow is travelling in Canada and abroad. The exhibition is currently presented at the Museo Nacional de las Culturas del Mundo in Mexico City until March 30, 2018.